How to make your Shopify store climb to the top of Google search results? What are the best practices to optimize ecommerce? Whether you are an Advanced Shopify seller or an e-commerce rookie, you must have asked yourself this question a billion times. The good news is, mastering the art of optimization is not that hard, if you have a right set of tools in place. 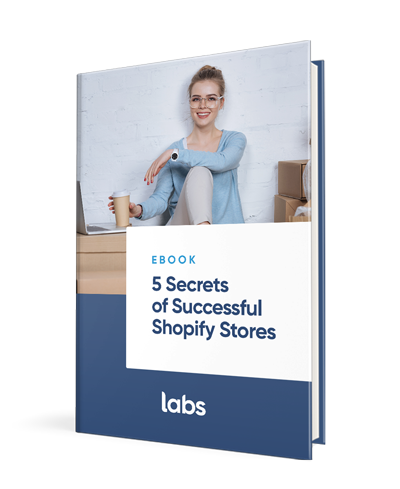 Let us walk you through the tweaks that would help you to position your Shopify Store for success. – What are the best web hostings for your Shopify Store and which one should you pick? – How to boost your sales through Shopify Affiliate Marketing programs? With these simple Shopify practices, you can boost your search engine visibility and the conversion rates to the sky. Keep reading to learn more. Web hosting is like the land where you build your online house (aka your website). Choosing the wrong “soil” for your online shop can lead to a bad SEO Ranking, security issues and even a loss of revenue. So what are the best and the safest web hostings to get your website up and running? Well, if you run a Shopify store, the most obvious choice would be to host your store with Shopify. Regardless of whether you go with $29 Shopify Basic plan, or the Advanced $299 plan, Shopify would include a secure hosting in the package. Another perk of hosting your website with Shopify is getting a free SSL certificate. This certificate is essential if you plan to take the payments and personal information from your customers. While Shopify is a great one-place solution for E-shops, you can look into other legit web hosting providers to save a penny or two. When it comes to a reliable web-hosting, GoDaddy must be one of the first names that come to mind. The main advantage of GoDaddy’s hosting is undoubtedly the price. I think we would all agree that it’s hard to beat a dollar per month web hosting, especially when it comes with a free domain name as well. Integrating GoDaddy and Shopify is extremely easy. The only tricky part can be figuring out the DNS settings so that it connects correctly to Shopify. But be sure that GoDaddy with their award-winning customer service will be able to give you a hand with it. Another popular hosting provider that integrates effortlessly with Shopify is BlueHost. With the price that is almost ten times less than the Shopify one, this hosting is definitely among the most popular options. It is reliable enough to take of your store, although, this does not include SSL Certificate and payment processing services. That’s something you would have to take care yourself. So going with pricey Shopify Hosting or trying to save a buck with an external provider – you decide! There is no better and more influential tool in marketing than word of mouth, period. If you are on a hunt for a perfect word of mouth strategy for your business, nothing can top an Affiliate Marketing. After all, AM is a word of mouth in its purest form. Here is how AM works with Shopify stores: a marketer or a just raving fan of your product recommends it to his/her audience through a specially created Shopify referral link. If someone buys your product through the link, the marketer gets paid. Usually, Shopify affiliates are rewarded via a percentage of the total sale. However, if you decide to incentify the “wordofmouthers” through free or discounted products, you can absolutely do that. Setting up an affiliate program on your Shopify is very easy. You can do it by simply installing one of the many apps available through the Shopify App Store. Here are a few hype-worthy affiliate marketing apps. One of the most reexamined affiliate apps out there is definitely a Refersion. You will be impressed by how hard this little app can work when it comes to AM. With Refersion, you can watch exactly how much conversions are happening in real time and from what sources are they coming from. By getting A Refersion Software, you also get access to their Marketplace with 4,000+ affiliates ready to work with your product. If you are not sure, whether or not this app is “the one”take advantage of Refersion’s 14 days return policy. Be careful not to fall in love with the app. Consider yourself warned! Another Shopify Affiliate app you’ll want to check out is called Affiliatly.The app is known for providing very detailed analytics on Affiliate Marketing programs performance. Once you set the app up, which should not take you longer than ten minutes, you start generating a strategic AM data, which can be used in your future Shopify endeavours. See the summary of the whole AM program, track affiliates’ performance, see their earnings and potential earnings – with Affiliatly you can do it all. Being one of the most cost-effective solutions on the market, this app also comes with a free 30 days free trial. There is no reason not to give it a try, really. Not only can you get customers to your web-store, but you can also make them come back for more. With Shopify apps like Smile.io and Loyalty Lion you can run a successful loyalty programs from points for purchases through to referral bonuses, so all of your customers can get a chance to be affiliated with your brand! Setting up an affiliate program and referral program is not a rocket science, recruiting the right people to promote your brand is where it all gets tricky. To end-up with “truly yours” affiliates utilize your existing customer database: announce your Affiliate marketing program on social media, use your email list, let the world rave about you! As a rule of thumb, the higher the percentage you are willing to give away, the more traffic you will get to your site. While it sounds like a no-brainer, affiliate marketing is not a strategy for everyone. If the profit margin for your product is not very significant, this kind of promotion might be a bit of a stretch for your business. Yes, affiliate marketing and referral programs are powerful tools. But before you dive into this exciting world, do your math to figure if AM is not too big of a stretch for you. How are you processing and nurturing your leads? Spreadsheets? Google-docs? Messy filing folders? As much as we love sticky notepads, and good old paper folders, nothing can top CRMs, when it comes to managing your leads. And no, despite a popular belief, Customer Relationship Management systems are not just good for gazillion customers businesses. CRM sure can benefit businesses of all sizes and forms. A basic Customer Relationship Management system (CRM) gives your Shopify store functionality to import and sort your leads, create task lists, upload documents to the contacts and track your sales funnels. One of the most user-friendly CRM is definitely a Pipedrive. The system is so simple and intuitive to navigate that even your dog can figure it out! (Well, maybe not the dog, but how cute would that be!). The Pipedrive’s dashboard is organized as a pipeline so you can see the entire sales process at one glance. Every sale and every customer is recorded to the system, as well as their documents, notes, communication details and their position in your sales funnel. If you are a small business trying to keep up with all the operational challenges, or if you simply want to make the processes flow smoothly, Give Pipedrive a try. It will make your life easier, we promise! Not only does CRM help you manage your time, but it also gives you a constant flow of customer information, which sure can be used in the future to optimize your store. If you are on a hunt for a software that can do exactly that, Agile CRM might be your top choice. Apart from being a highly customizable CRM that can handle all kind of businesses, it is also equipped with powerful reporting features. It drills down metrics, diagrams, advanced analytics and conversion reports like a champ. And by the way, if you have less than ten users under your company’s “umbrella” the Agile CRM is entirely free! Speaking of free, If you are under the impression that you have to break the bank to get a good CRM, don’t be. There are plenty of free solutions on the market that can be integrated with your Shopify store. For example, a CRM by Hubspot, one of the most popular Customer Relation Management systems on the market, does not cost a penny. Despite being completely free, this CRM still provides great functionality and deep insights into each of your customers. At every step of your customers online shopping journey, there are ways to make it more secure and enjoyable and less stressful. There is where the proper web hosting, affiliate marketing and CRMs come into place. Now that we’ve taken a deep look at how to improve your Shopify store, what are you thoughts? Do you know any other best practices to optimize your e-shop? Share them with us in the comments down below!